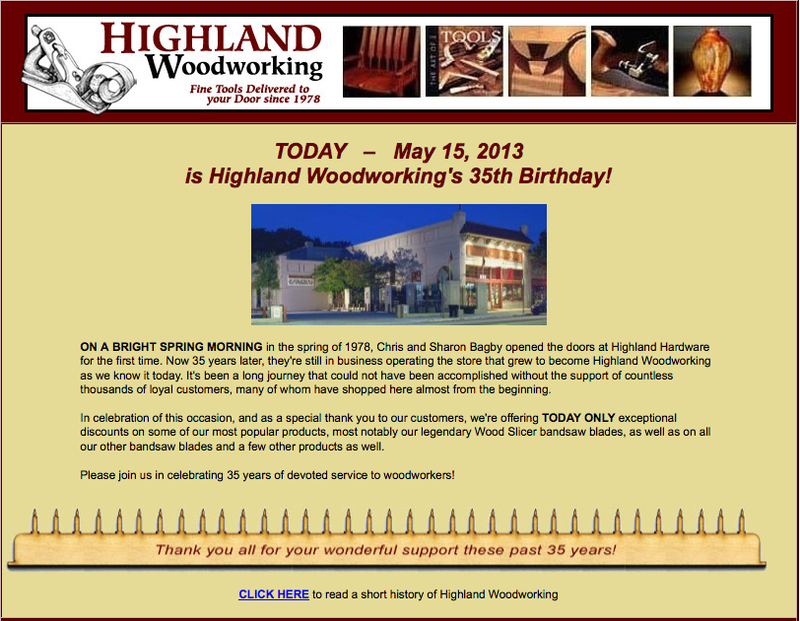 Please join me in wishing Chris and Sharon Bagby, the proud owners of Highland Woodworking, in wishing them a happy 35th Birthday today! It’s hard to imagine that a store that has been such a longtime resource for woodworkers, not only in the Atlanta Georgia area but around the country and even internationally hasn’t been around for a century or more. To celebrate this momentous occasion please take a moment to read a little bit about the history of the store by clicking on the picture below. And then when you’re done, take advantage of some of the great ONE-DAY sales and discounts to celebrate the occasion (May 15, 2013 only).